Comfortable seat and full flat bed. No welcome drink upon boarding. 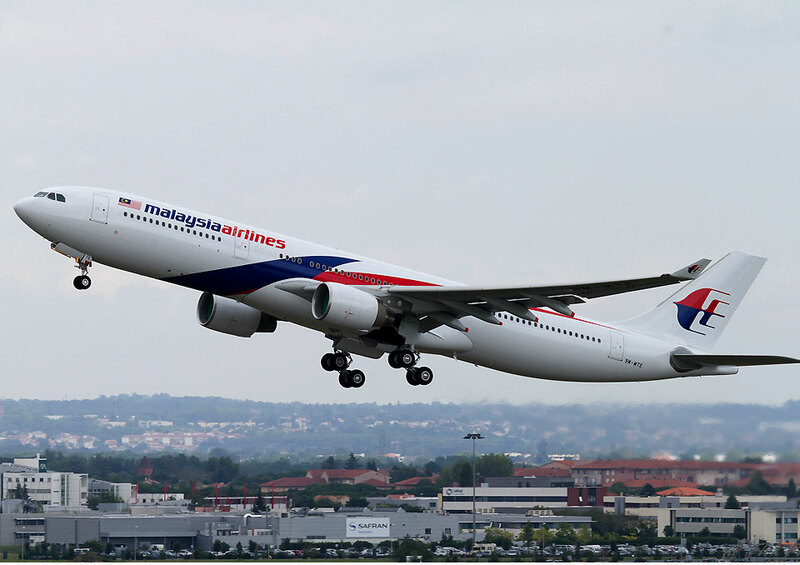 Malaysia Airlines operate an Airbus A330 from Auckland to Kuala Lumpur. The A330 has replaced the Boeing 777 service. 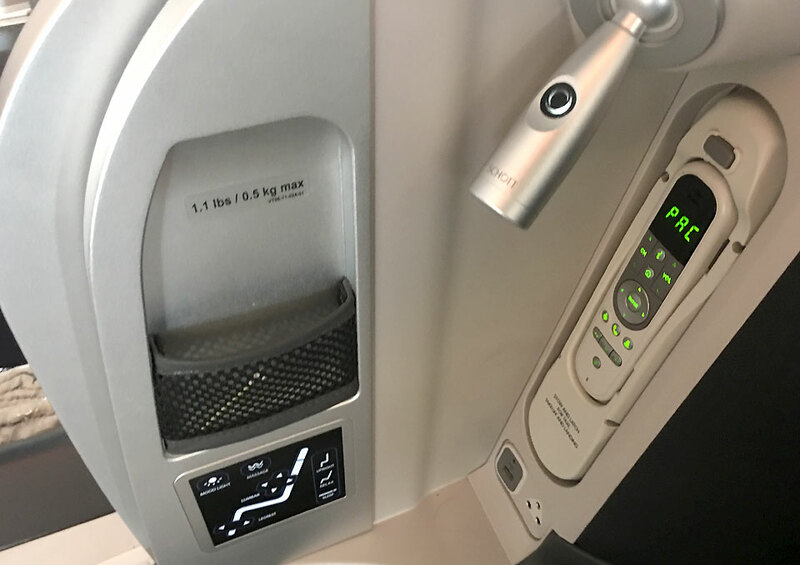 The airline has reinvigorated its business class product on the A330s with a funky spacious new look. 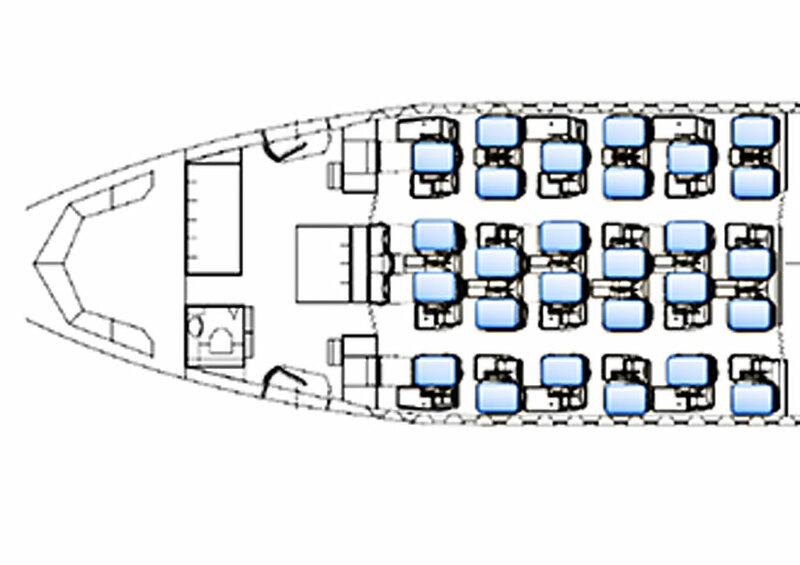 The business class cabin now offers fully flat beds in a 1-2-1 layout offering direct aisle access. 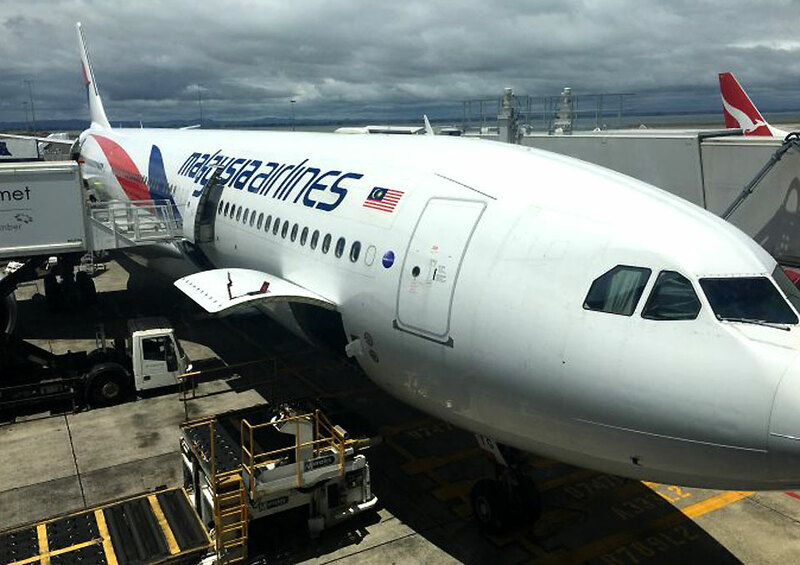 Malaysia Airlines is the only direct service between Auckland and Kuala Lumpur with a total flight time of 11h9m. 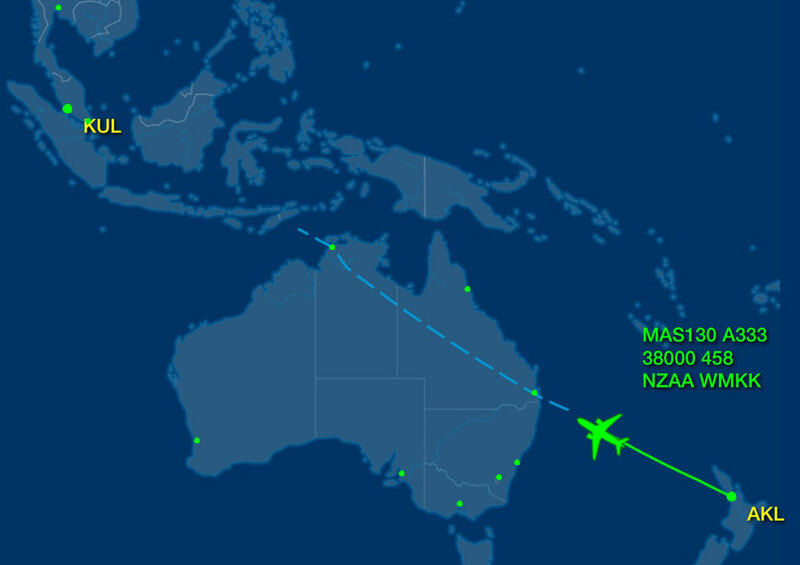 Malaysia Airlines departure is at 1445 hours from Auckland International Airport. Malaysia Airlines offers online check-in however, this is not always available on flights out of Auckland. 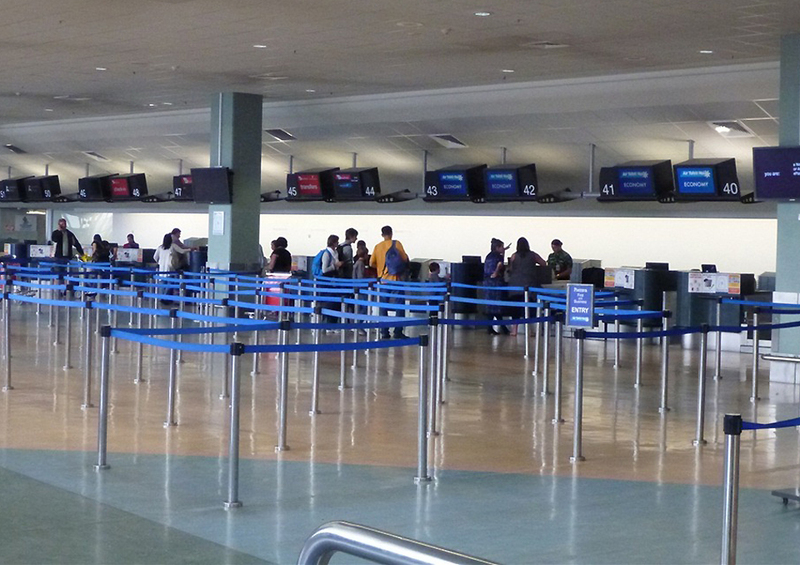 There is priority check-in for Business Class passengers. 32 kg total weight spread across a maximum of two bags. 2 x hand carries with 2 x accessories with a total weight of 18 kgs max. No fast track lanes at Auckland Airport. However, New Zealand E-Passport holders have the ability to process through immigration and customs much quicker. 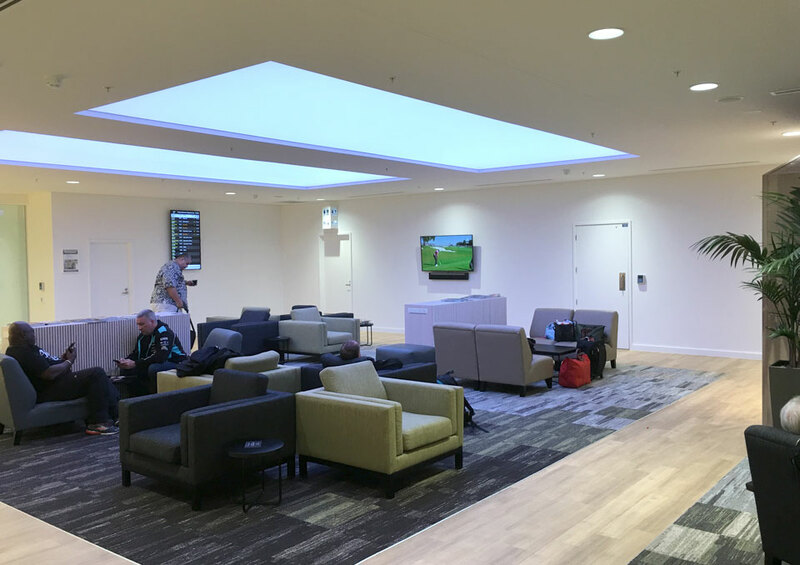 Malaysia Airlines business class passengers are invited to the new Strata Lounge at Auckland Airport. 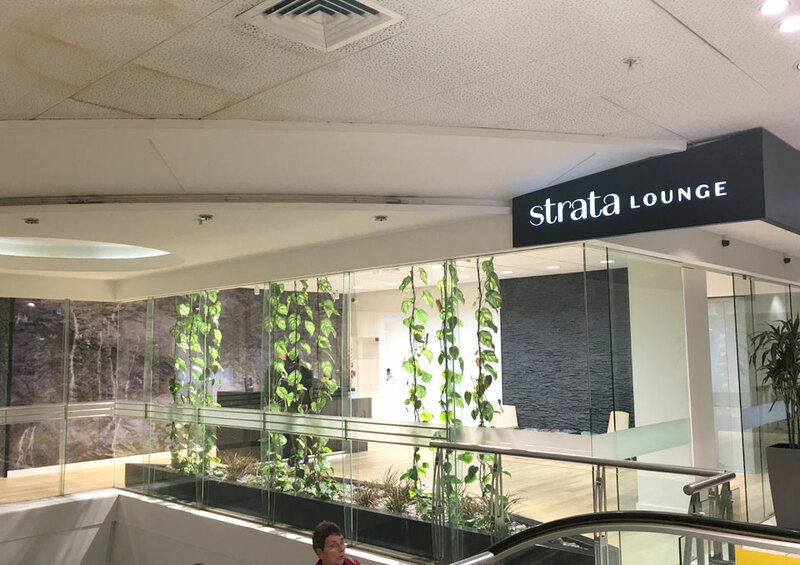 Strata Lounge is located at the international terminal, airside next to Qantas and Emirates lounges. Strata Lounge replaces Emperor Lounge. 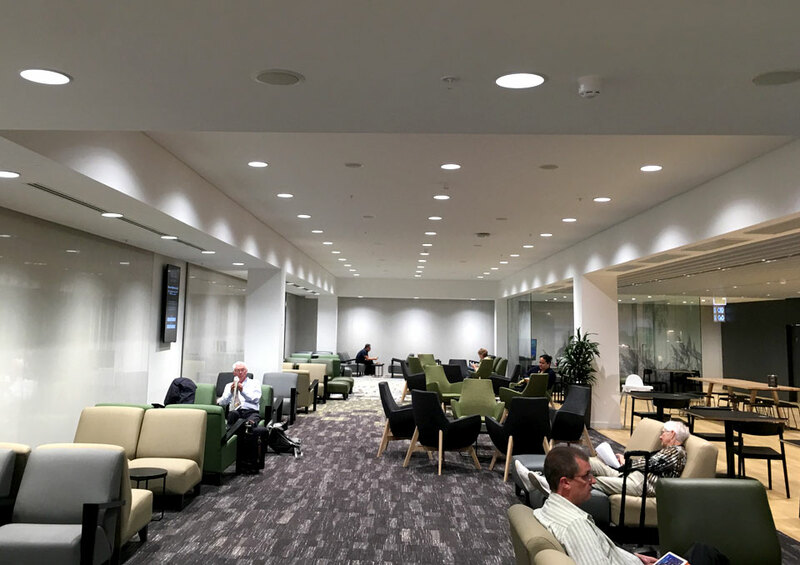 The lounge offers a range of comfortable seating and relaxing options spread across the floor. 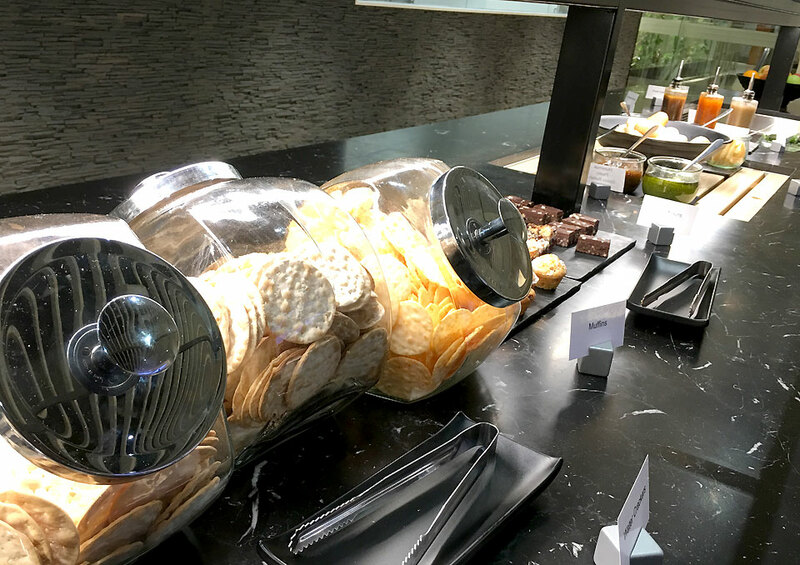 There is a selection of hot and cold refreshments, alcoholic and non-alcoholic beverages. Standard stay permitted is for three hours before flight departure. Wi-Fi is complementary and there is also a children’s play area. Boarding was on-time with priority boarding for Business Class guests, Enrich Frequent Flyer and loyalty members of partner airlines. Boarding was quick and swift with a friendly reception at the door. I was shown to my seat, my jacket received and a welcome drink offered. Flight departed on time at 1445 hours . Departing weather in Auckland was bad with westerlies and rain and that lasted most part of the flight. We hit a calm about two hours before landing. The flight landed on-time at 2030 hours. 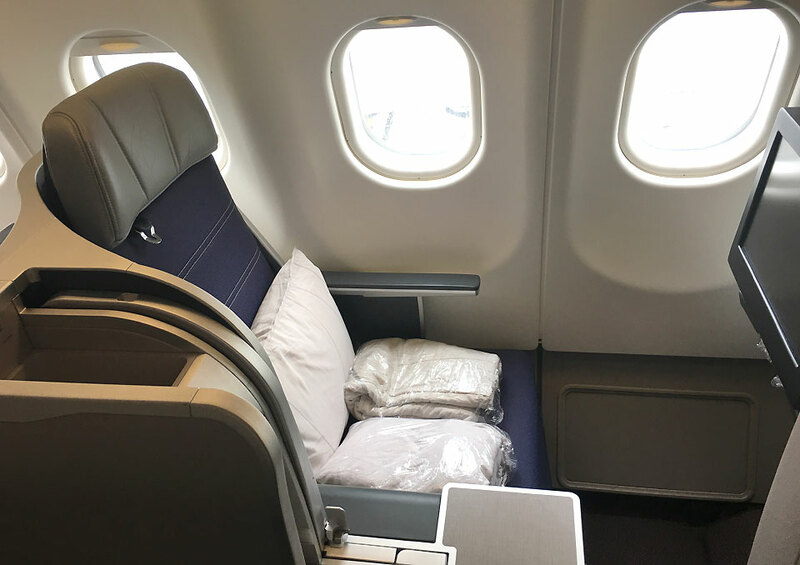 Malaysia Airlines’ new business class seats alternate between a 1-2-1 and 1-2-2 layout. 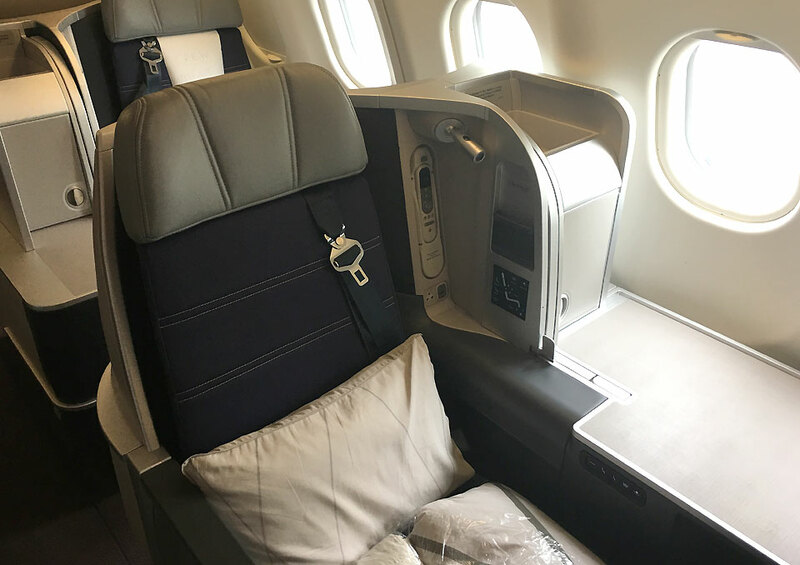 All passengers have direct aisle access in the new business class except three (numbers 2K, 4K, 7K). The newly designed seats extends into a spacious 52.3cm wide, 193cm long fully-flat bed that joins up with a small ottoman to finish the bed. A mattress pad, pillow and a blanket is also supplied. 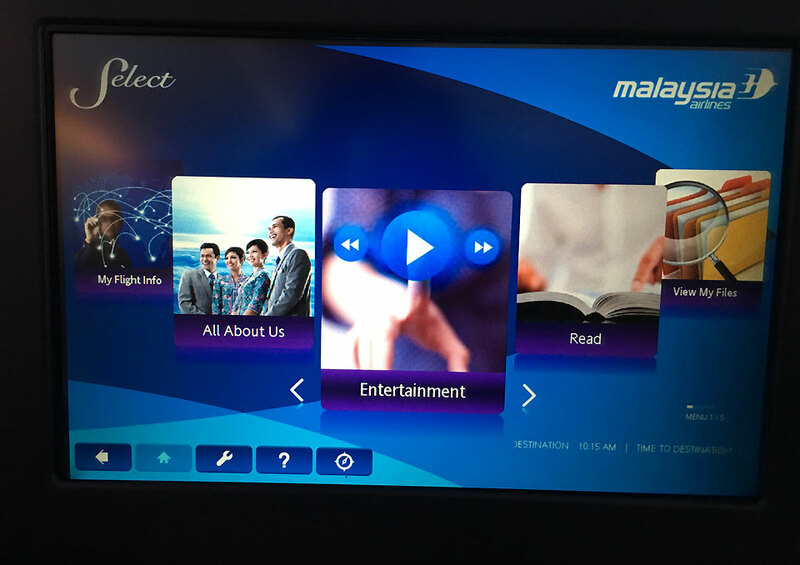 As a part of the business class service one would expect the cabin crew to provide information on the new product especially the salient features of the seat but with Malaysian Airlines, this is more of a lucky dip. Apparently the side armrest can be lowered when in configuration of a fully flat bed. I didn’t know this till almost the flight. In case you choose to fly, bear in mind that the armrest can be lowered by twisting the whole armrest clockwise and then pushing it down. Getting the seat to the bed mode is easy through shortcut keys aside the seat and additional controls found on the side panel for lumbar support. 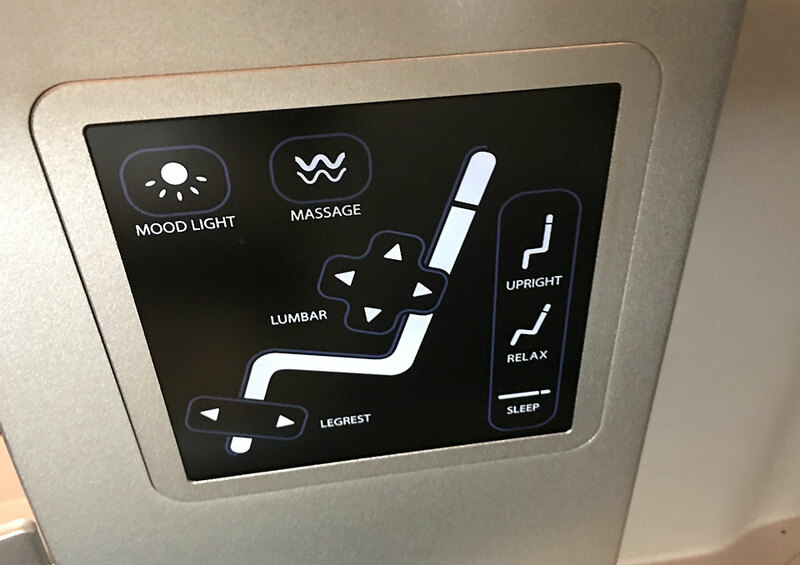 A massage feature, leg rest adjustment and mood lighting are also an add on to the new business class seat. The mood-lighting feature controls the lighting in the foot well so don’t expect a great deal of special effects here. The entertainment remote control, USB power, an adjustable reading light, a small storage pocket are located on the side of the seat. 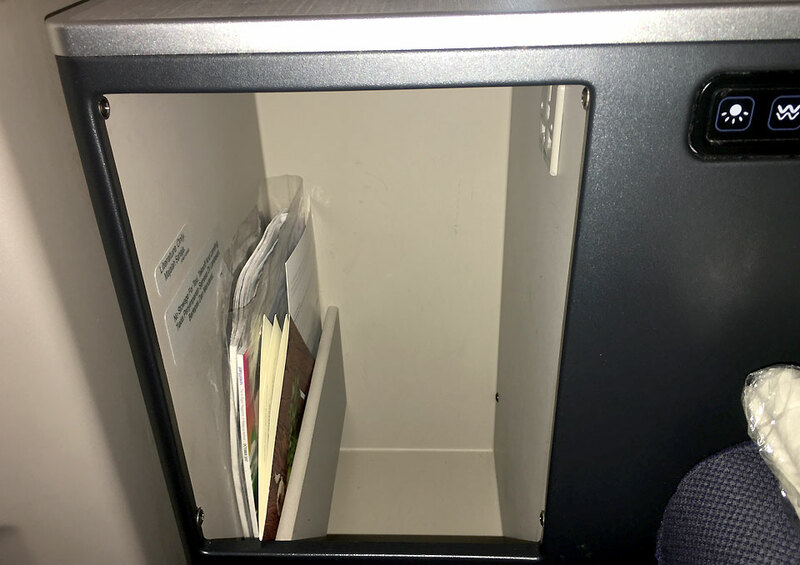 A larger storage area with room for the amenity kit, headphones and small laptops is located on the bottom corner of the seat. 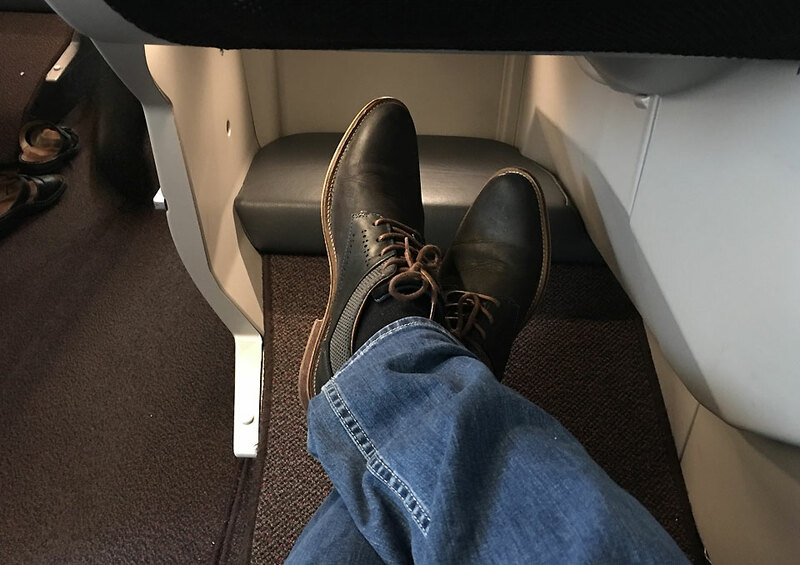 There is ample legroom in seat mode but the ottoman is out of reach unless in bed mode. Its hard to reach it at even with the relaxed angle. 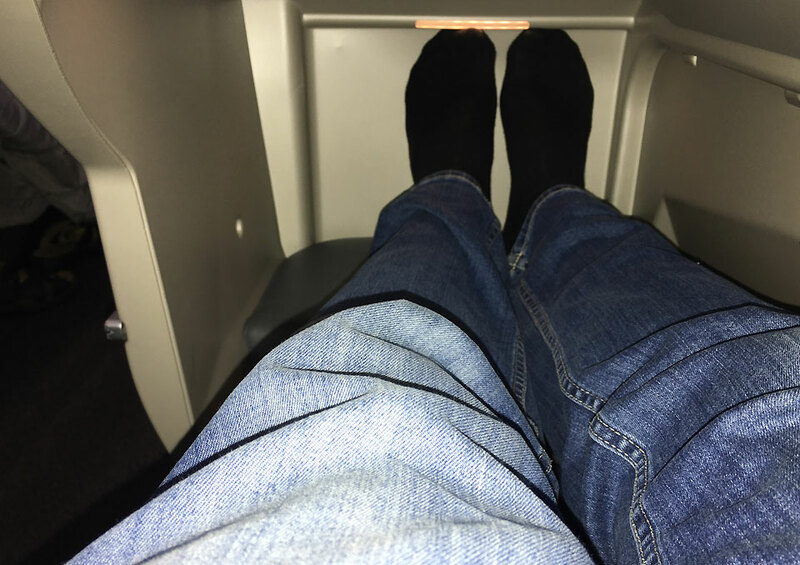 The fully flatbed is comfortable (if you manage to get the armrest down) however in full bed mode, there is very less room when feet reaches the ottoman. A tall person will have difficulty fitting the feet in or moving them around. Due to the limited space, its tough to move legs as well. This can be overcome by not having the seat in full bed mode but a little bit less of it and work those feet in for a more relaxing fit. 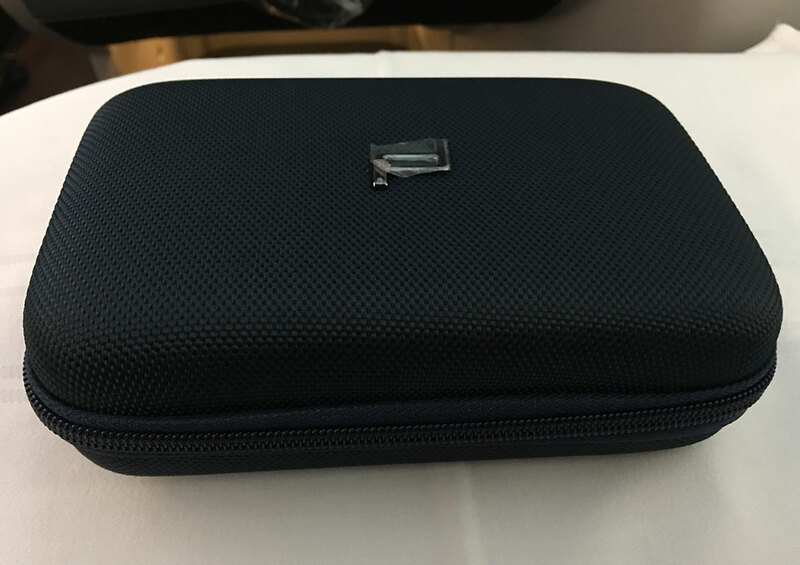 The amenity kits were well presented and beared the logo of Porsche design. 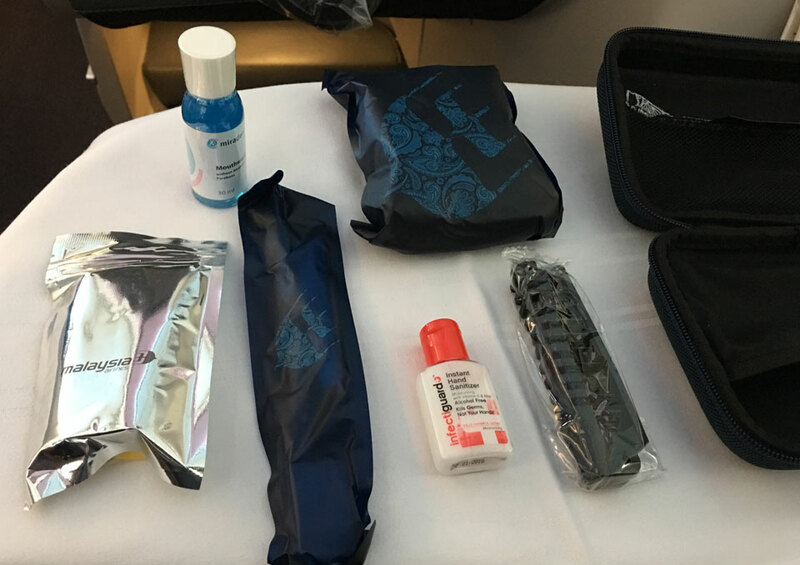 They contained everything that one would need for an 11 hour flight. Noise cancellation headphones were available as well. 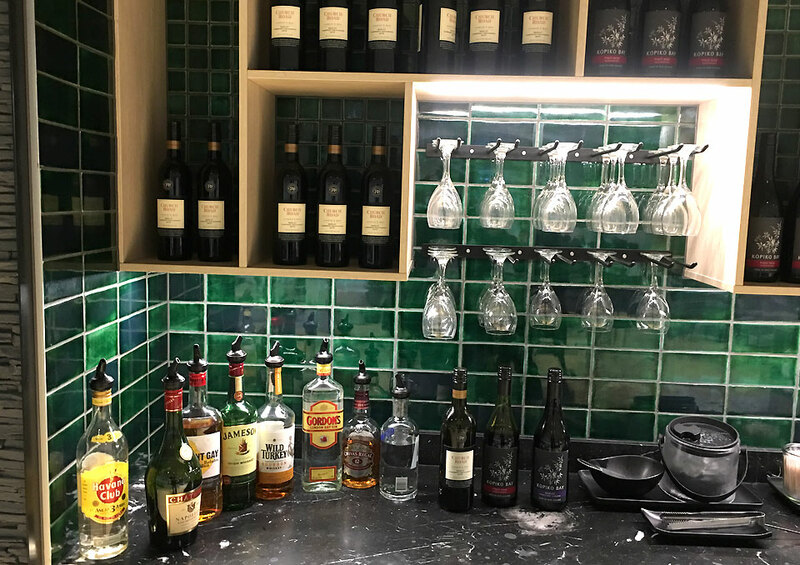 The beverage service was great with a premium selection of wines and spirits. 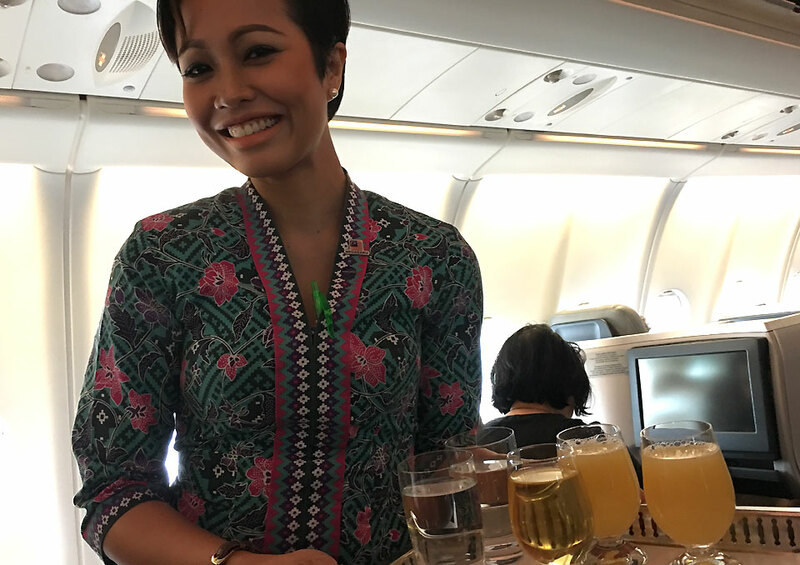 The menu had a good selection of dishes and to start off, the famous Malaysian Airlines Satay was served. 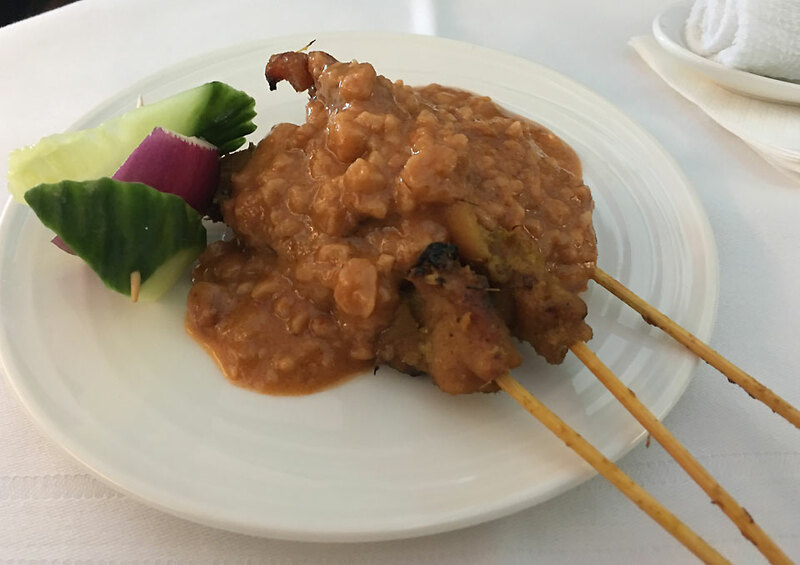 Succulent chicken satay with a generous helping of the peanut sauce was a great start to the meal service. For the entrée there was Tuna Tataki. 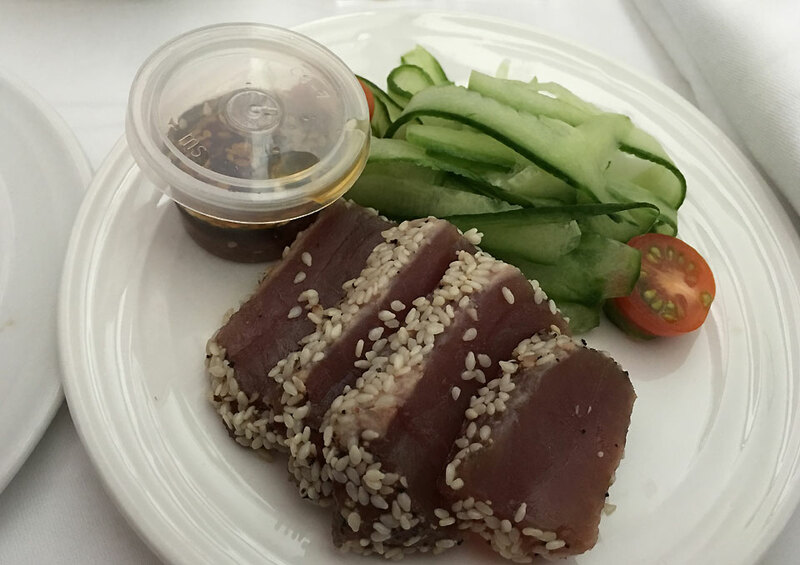 Once again, perfectly chilled with toasted sesame seeds that burst with a nutty finish along-with a smooth texture of the tuna slices. Perfectly matched with julienned cucumber and a pleasant dressing. For the mains, I chose the Hapuka with Sambal sauce which was not what I expected. The Sambal sauce was anything but and was more of a cheap substitute from the Asian super market that was botched with chillies. The Hapuka was dry and felt like the whole big chunk was finished off on the grill and then sliced off. There was no searing on the fish. 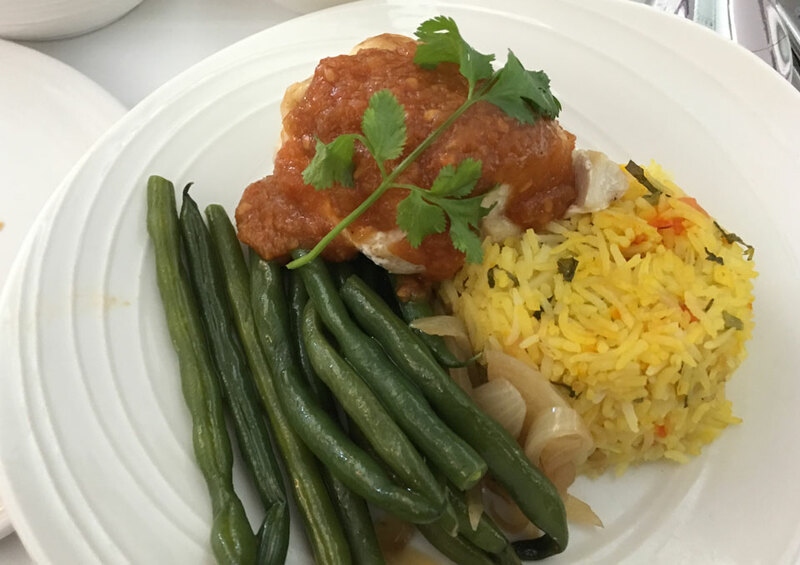 The best thing on the plate were the sautéed French beans that acted as a saviour to the flaming chilli sauce. The fragrant rice that the fish was served on was nice too. Dessert was fresh fruit or ice cream that I passed on. 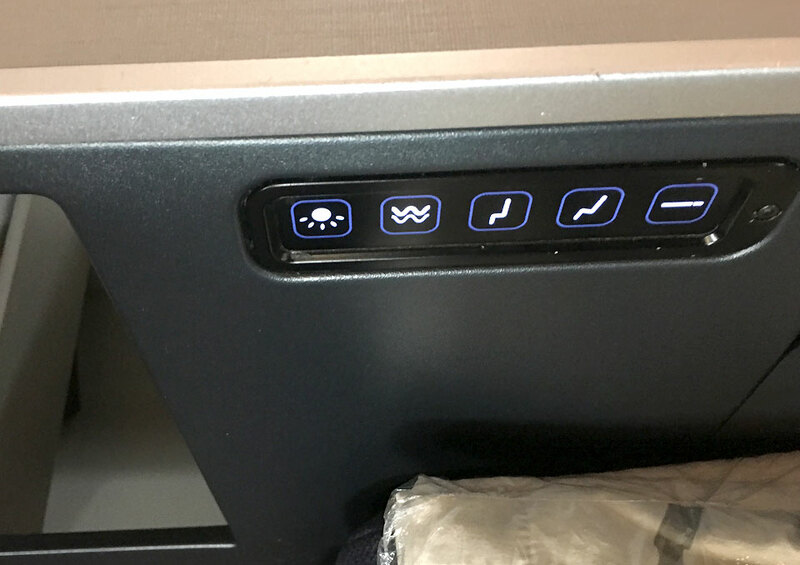 A good variety of movies, shows and music tracks were available on the flight. The reception on the 16-inch HD monitor was pleasant and content can be controlled either by touch or the remote control. Also available were the noise cancelling headphones which are not so noise cancelling and mine had to be replaced as could hear crackling noises rather than the dialogues of the film. 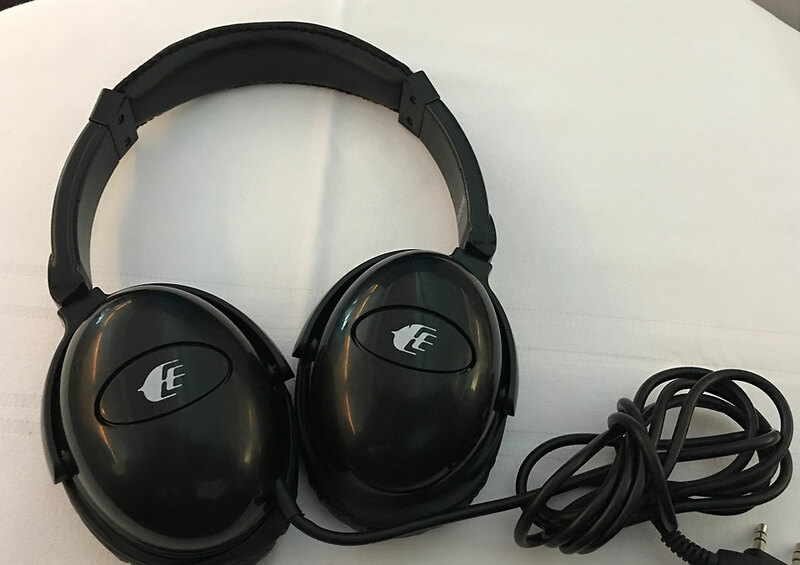 The headphones are also collected before landing, so if your movie is about to finish, you’re going to have to wait till the next flight to have it done. 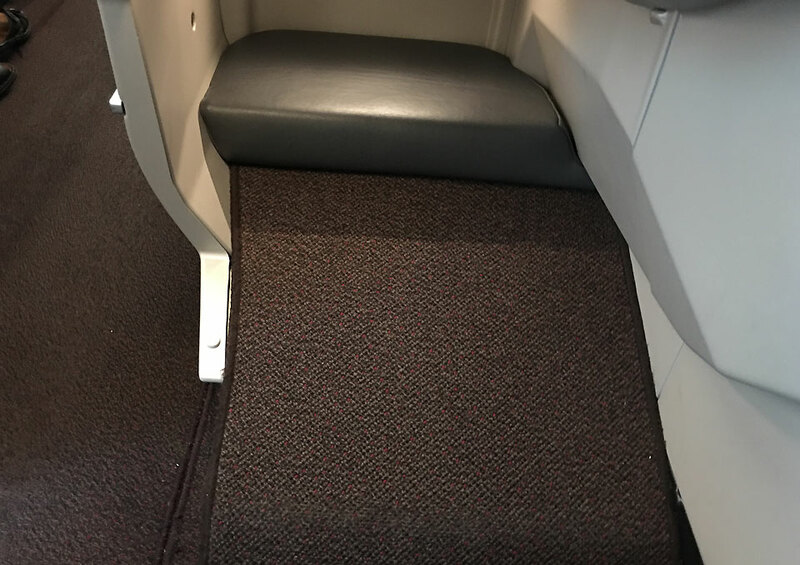 Our verdict – the seat is not the most comfortable as a fully flat bed and not even close to some airlines that are operating out of Auckland currently. But wouldn’t mind the broad seat and also the extra legroom. Food on-board needs a major uplift. The service was warm and hospitable with friendly crew smiling and ready to service any request of the business traveller.